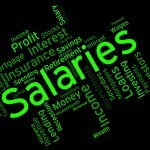 Payroll is an important administration function that you must get right! With the advent of Cloud accounting many business owners are processing their employee payroll themselves through an accounting payroll system using software such as MYOB and Xero. Employee Details: Not taking up your employee information correctly when establishing a new employee on your payroll system. Hint: Ensuring all employee’s details are correct and up to date. Entitlements: Incorrect classification of l allowances/wages that are subject to PAYG Withholding and/or Super Liability. Allowances for Tools/Uniforms: Only subject to PAYG Withholding. Allowances for Laundry: Not liable to pay PAYG Withholding and Superannuation. A more comprehensive allowances table can be found on the ATO website or by contacting us on 03 9597 9966. Hint: Tax rate changes occur every year on the 1st of July. By ensuring you have the latest version or having the latest tax table loaded before you start to process your payroll, will mitigate this mistake. Payroll Deadlines: Not meeting the lodgement of PAYG Withholding, SGC payments and producing PAYG summary for employees. At Gartly & Associates we specialise in help business get their payroll records right . Check whether you had set up the payroll within your accounting software correctly. Provide software integration, to reducing time required to go over timesheets. Process your payroll for you.